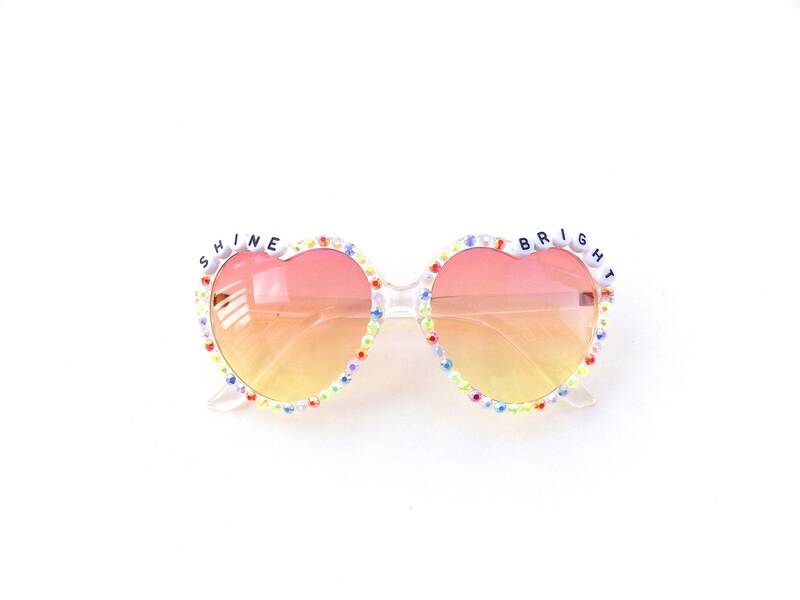 Decorated Shine Bright heart-shaped sunglasses by Baba Cool | funky embellished festival shades with rainbow sparkles! 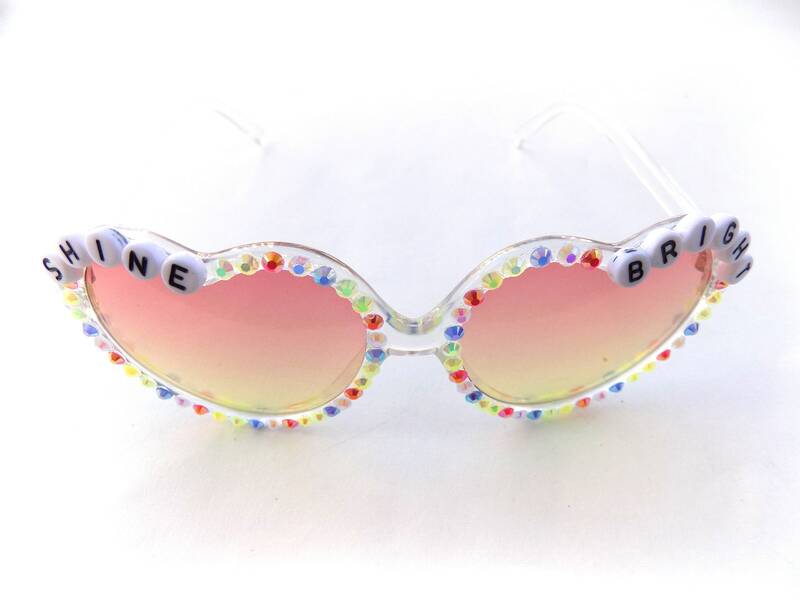 Decorated "Shine Bright" heart-shaped sunglasses by Baba Cool | funky embellished festival shades with rainbow sparkles! 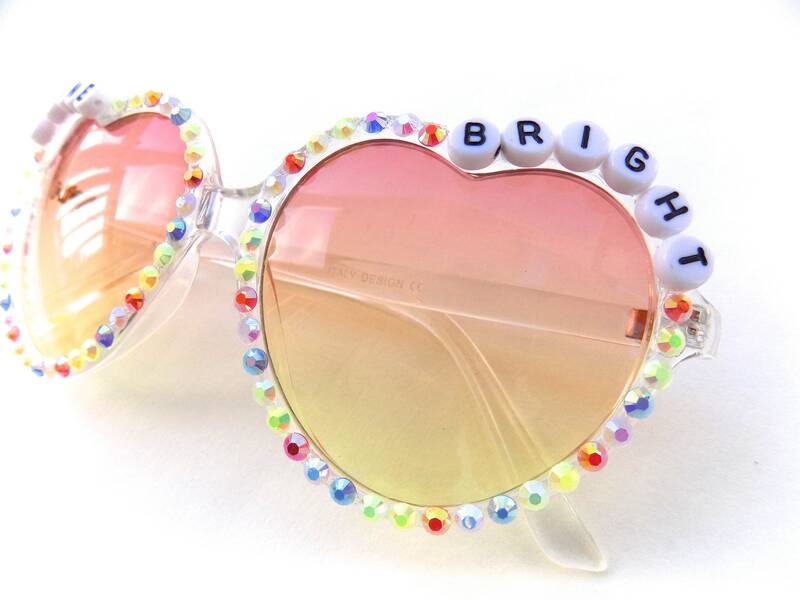 These happy heart-shaped glasses have been decorated with the words "Shine Bright" and rainbow rhinestones encircling each lens. Frames are clear plastic with orange/yellow tinted lenses. All decorations are fastened securely using industrial strength glue; built to last!